How to add a new hard disk to a Linux operating System? Once the new harddisk is connected, you can verify the connected harddisk by issuing the below comment. type “m” to see all the options available. 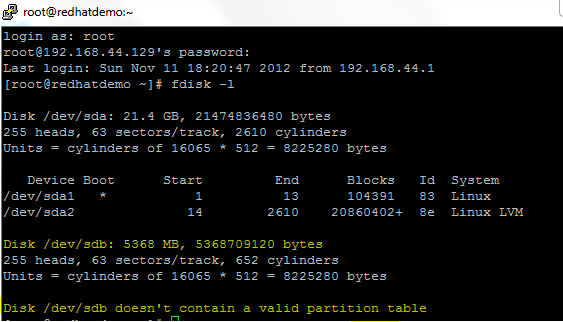 use “p” to print the partition table. Enter the desired size for the partition for example, if you want to give 5GB, you can enter +5000MB. 2. Verify the created partition by issuing “fdisk -l” again. We can use mke2fs command to create a new ext3 filesystem, “-j” flag is used to enable journaling, even we can continue without enabling journaling. 5. Mounting filesystem during startup.